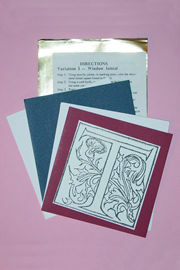 Each kit has materials and instructions for making 2 different kinds of gilded initials to use as greeting cards, artistamps, collage element, book page embellishment, etc. 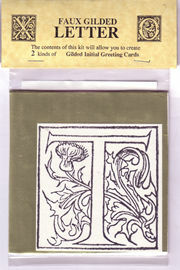 Each package includes: one decorated initial to color as you wish, instruction sheet for each of two variations, gold foil, two blank cards to embellish, two envelopes. 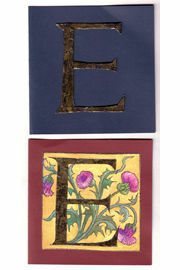 Click on image below to view and select alphabetic character. 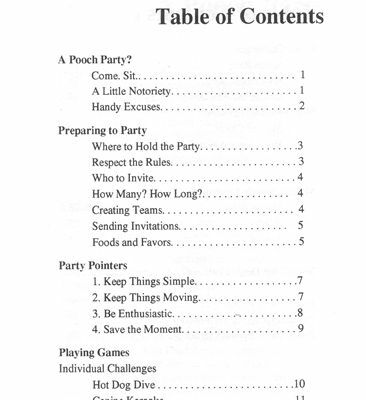 How to throw a successful party for your dog, your friends and their dogs. 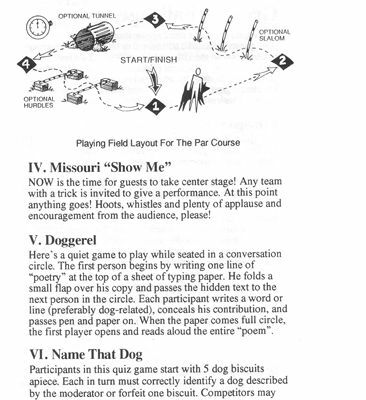 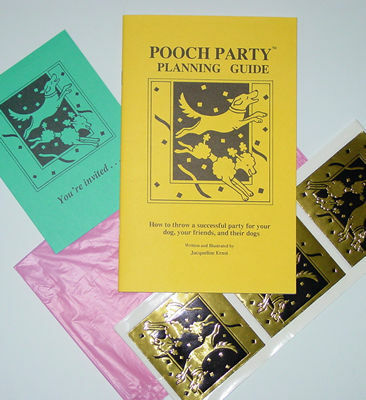 The complete kit comes with 5 decorated invitations, 5 plastic doggie bags to fill with your own favors, 10 embossed gold foil stickers, and a 32 page book with helpful party tips and directions for 12 party games designed to be played by people with their dogs.